The NEBOLEX-System for dust suppression essentially consists of four modules, which also include frost protection mechanisms. The treatment unit is used to compress the process air. The waste heat can be used to warm the water fog. The treatment unit is offered in different sizes, depending on the compressed air demand. We operate with an air pressure of around 6 bar. 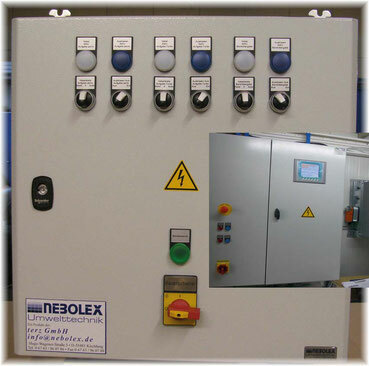 The control unit makes it possible that different respective portions of the installed NEBOLEX system can be controlled as required. 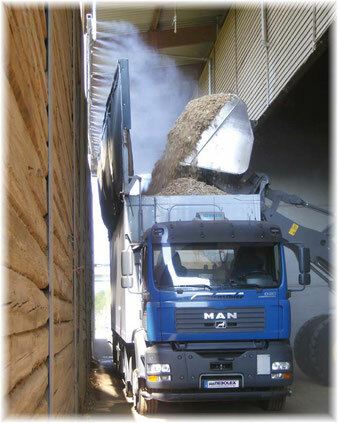 This is necessary and advantageous, particularly for larger systems because not all parts of the facility, such as Conveyor belts or feed hopper are simultaneously operated and continuously. 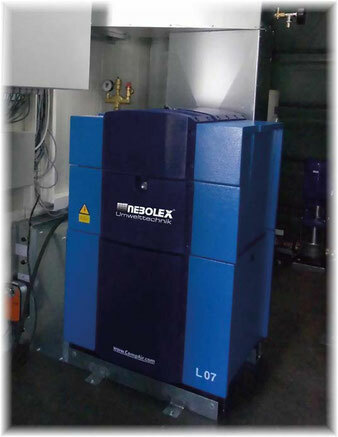 All relevant factors, such as amount of material conveying speed or outside temperature (freezing point) can be detected with NEBOLEX, allowing the system to react requires conditionally. The control unit receives the electrical signals of the control unit. It regulates the water flow to the individual spray stations. As the demand for water spray, depending on requirements and material, is different, each supplied mist intensity can be adjusted. The robust design of the patented fog bars with integrated mist heads, there is a possibility sifted surface or cistern water to use. The mist heads tolerated particles down to a particle size of > 0.2 mm. The patented fog bars are very stable, so it is possible to be mounted on crusher inlet and outlet.